The world is passing through a new wave of populism. Besides challenging the existing power structures within the liberal democracies, it is bringing to the fore the question of identity. Under its influence, people tend to vote according to their identities, as was visible in the recent electoral processes in Europe and South and North America, where the rise of the right wing has made inroads into the political mainstream. The emerging populist trends have triggered a debate on the future of democracy, relevance of socio-political liberal values and changing perceptions of identity. This is perturbing the dominant political discourse that sees in liberal democracies an eventual human destiny. Those adhering to this view — such as renowned American political scientist Francis Fukuyama, who had famously and controversially declared The End of History — could not imagine that dignity and identity would become the factors to hamper the growth of liberal democracies. It has forced Fukuyama, the Olivier Nomellini Senior Fellow at the Freeman Spogli Institute for International Studies at Stanford University, to revisit his thesis and to explain factors threatening liberal democracies. 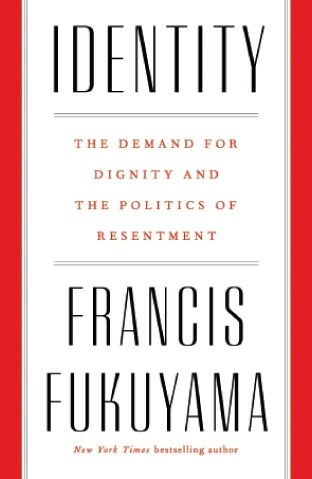 Fukuyama’s new book, Identity: The Demand for Dignity and the Politics of Resentment, is an attempt to clarify his position. Fukuyama justifies the contemporary dissatisfaction with the global liberal order through increasing demand for recognition and explains that identity is often explicitly connected to race, ethnicity or religion. He says that the sense of victimisation in a group can also create a collective sense of identity. He also agrees, however, that identity is deconstructing the political order in many parts of the world. Though there is no escape from thinking about us and our society in terms of identity, identity can be used to divide at the same time that it can be, and also has been, used to integrate. Now identity is creating new bonds and dividing people into new tribes on the basis of shared victimhood and common grievances. These identities have come up with new challenges for liberal democracies and it is shaking the foundations of the existing political order. Fukuyama links American president Donald Trump’s success to several factors, mainly the fallout from the 2008 financial crisis: amid surging economic inequality, he notes, the shrinking class-based left lost to the candidate who exploited the white working-class’s perception of invisibility. Fukuyama’s entire political thoughts are based on Plato’s conception of the soul, which he divides into three parts: reason, eros (desire) and thymos (the hunger for recognition). Isothymia and megalothymia are the two parts of the thymos which are linked to the emotional needs of being respected, and recognised as superior, respectively. Fukuyama had built his argument of liberal democracy as the endpoint of man’s political organisation over the concept of thymos. But the concept of isothymia, he now feels, is driving the demand for equal recognition; this demand will continue and is unlikely to ever be completely fulfilled. However, he also says megalothymia is a bigger problem as it thrives on exceptionality, taking big risks, engaging in monumental struggles and seeking large effects, because all of these lead to the recognition of oneself as superior to others. Fukuyama says that, in some cases, it can lead to a heroic leader such as an Abraham Lincoln or a Winston Churchill or a Nelson Mandela. But, in other cases, it can lead to tyrants such as Caesar or Adolf Hitler or Mao Tse-Tsung who led their societies into dictatorship and disaster. Fukuyama argues that megalothymia has historically existed in all societies; it cannot be overcome, it can only be channelled or moderated. One outlet could be the market economy for a megalothymic entrepreneur could become fabulously wealthy while contributing at the same time to general prosperity. Louis Menand, a staff writer at the New Yorker, critically reviewed the entire philosophical order of Fukuyama and commented that thymos is too clumsy an instrument to be helpful in understanding contemporary politics. Menand argues: “‘Identity’ can be read as a corrective to the position that Fukuyama staked out in [his 1989 essay] ‘The End of History?’ Universal liberalism isn’t impeded by ideology, [such as] fascism or communism, but by passion.” Fukuyama then had argued that the collapse of the Soviet Union was the last ideological alternative to liberalism. About China, he said that economic reforms would lead the country in the direction of a liberal order. The rise of China and the rise of populism show that liberal democracy and free trade may actually be rather fragile achievements. Fukuyama himself admits that contemporary liberal democracies had not fully solved the problem of the thymos because of nationalism and religion, which continue to factor in world politics as two main factors. Fukuyama’s central argument in his latest book is built around the concept of isothymia. Nonetheless, the desire for [superior] recognition or identity politics is a threat to liberalism because it cannot be satisfied with economic reforms. He argues that the liberal world order did not benefit everyone and inequality increased dramatically worldwide, particularly in liberal democracies, and many of the benefits of growth flowed primarily to an elite defined primarily by education. Fukuyama also contextualises the recent political changes in Europe, where a new populist right looks back nostalgically at a fading normal culture that was based on ethnicity or religion, a culture largely free of immigrants or significant diversities. For example, in France, the 1905 law on laicite — which formally separates the church and state — is under stress. Laicite was the concept of assimilation, but now it is not politically acceptable to many on the left as well. To adjust with a shift in popular understandings of national identity, Fukuyama refers to Bassam Tibi — a German academic of Syrian origin — who had proposed Leikultur, or leading culture, as the basis for German national identity. Leikultur was defined in liberal enlightenment terms as a belief in equality and democratic values. He thinks Germany needs something precisely like Leikultur, a normative change that would permit a Turk to speak of him or herself as German. This is beginning to happen, but slowly, he believes. The book does attempt to grapple with the ongoing changes in the political order of the world. Apparently, dichotomous trends of hyper-centralisation in some countries — such as China — and the breakdown of centralised institutions in a few other parts of the world have made it difficult to predict future trends. However, the author does not recommend specifically how to alter the ongoing global political order. He admits that universalisation of dignity has made any future forecast difficult, which has turned the private quest for self into a political project.